Here it goes, I'm asking for your help yet one more time. Will you nominate Kathy Pagapular's San Vicente Elementary School Sixth Grade Class for a Peter Benchley Ocean Award in Youth Activism? Kathy's class supported shark protections in the Northern Marianas this year and jumpstarted momentum for a year of shark conservation. They deserve recognition. Click here to learn how to nominate San Vicente Elementary School for a Peter Benchley Ocean Award in Youth Activism. The deadline for nominations is December 31, 2011. Nominations should include 2- 6 paragraphs on the nominee and why the nominator finds them deserving in their category. Feel free to include supporting materials and/or links. Please include the nominees contact information and your contact information. Submit to benchleys@bluefront.org. Mark subject line - Benchley Nomination - Youth Activism. Nominators names will be held in confidence. 2011 was a watershed year in shark conservation. And where did it all start? Saipan. On January 27, Governor Ben Fitial signed a law criminalizing the sale, trade, and possession of shark fin. This act kicked off 12 months of improved protections for sharks, including shark sanctuaries in The Bahamas, Honduras, the Marshalls, and Tokelau, shark fin bans in Guam, California, Washington, Oregon, and half a dozen Canadian cities, protections for oceanic whitetips, hammerheads, and silky sharks on the high seas, and agreements by international and regional bodies to implement more protections in 2012. The law in the Northern Marianas was supported by many in the community, including fishermen, divers, and the conservation-minded, but a sixth grade class at San Vicente Elementary School may have done more than anyone else to make sure sharks received protections. I could tell their story, but filmmaker Rob Stewart does it much better with his short film Sharkwater Saipan. This short film is just a preview of Rob's second feature film Revolution, due out in theaters next year. 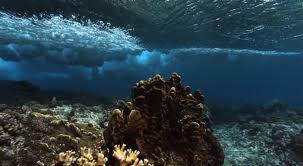 Watch Sharkwater Saipan on Youtube. I am asking you to write your own nominations (but I am available to help or edit). Two paragraphs should not be that difficult. Think of this award as something that will come home to the Marianas, not just San Vicente Elementary. I make this request as the Saipan Blogger and the Godfather of the Mariana Trench Marine National Monument, not as someone who works for an organization that shall go unnamed. I have had the honor of meeting many shark champions around the world this year including Tony DeBrum from the Marshall Islands, Ev Quiel and Melanie Blas on Guam, Manoa Rasagitale in Fiji, Rob Stewart in Canada, and many others, but my home and my heart lies with Saipan. So let's bring that award home! On Dec 17th, 40 volunteers collected 20 bags weighing approximately 100 lbs. This is our last, but not the least, beach clean-up for the year 2011. The clean-up was followed by calisthenics lead by our S&R lifeguards and a healthy breakfast at the cafeteria. Sharing with you are the pictures from our recently concluded “1st Tree Planting” initiative of Tan Holdings at the Susupe Beach Park. A group of 50 executives and key managers went out early in the morning of Saturday, Dec 10, 2011 to join and participate in this worthy activity. More tree planting activities are set for 2012 as we continue our commitment to share our time in preserving our mother earth. DEQ Cleanup Bridge: Old Man by the Sea join us on Saturday! The Division of Environmental Quality (DEQ) Monthly cleanup brigade is deviating from its regular 1st Saturday of the month schedule and scheduled its December cleanup on December 17, 2011 picking up trash at Old Man by the Sea, Saipan. The beach is littered with float and jet-stream trash and it needs our help so DEQ is asking for more volunteers to join this particular cleanup. Volunteers will split into groups and clean until 10:00 am and break for drinks and then continue, if needed. 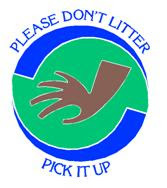 So join DEQ’s Cleanup Brigade and “Pick It Up!” Let us work together for the health of our coral reefs and cleanliness of our beaches for everyone to enjoy. A team went out Saturday, November 26, 2011 to do the monthly clean-up for the Tan Holdings Adopt-A-Pavilion program. Approximately 225 lbs (or 15 bags) of trash were collected by the group of 25 employees. A breakfast in celebration of October and November birthday celebrants followed right after the clean-up. First Friday Films will be featuring another episode of BBC’s South Pacific, entitled Fragile Paradise, on December 2, 2011 (this Friday), 6:30pm at American Memorial Park Visitors Center. Additionally, for all those who missed it, at 5:15pm we will be reshowing the Ocean of Islands episode we screened last month from the same series. The new episode looks at the conservational measures being implemented across the South Pacific, such as marine reserves and coral nurseries, and what is being done to preserve the ocean and its wildlife. It is a very well done and beautifully shot series, so don't miss the opportunity to see it on the big screen on Blu-ray!